Our business is all about getting you onto the water quickly. Whether you love fishing, caravanning, camping, kayaking or stand up paddle boarding, we’ve made it easy for you to load, unload and transport your heavy water craft. We are about to celebrate our 10th year of manufacturing Folding trailers, lifters, loaders and boat hoists. Completely Australian made (no outsourcing) all made in-house employing Australians and using local suppliers. Made from structural grade aluminium with a strong focus on strength and reliability, our products are used all around Australia and we also export products selling through Amazon in America. 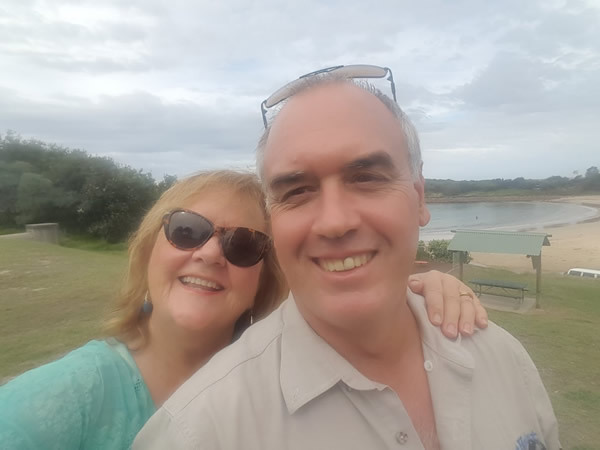 Co-founders and owners Steve and Linda Scott are located in the picturesque Port Stephens/Nelson Bay region. Boathoist fills the gap in the market for those wanting a product that does not require customization, fits all vehicles is lightweight and solves the question of - how to take your boat or kayak with you when towing a caravan. The owners travel, use their own products and have them fitted on their own vehicles. All questions, concerns or doubts about whether your vehicle or rig suits our products are welcome. Known for their flexibility and simplicity, Boathoists products have expanded from boat loaders and a folding boat trailer to now include a range for kayaks, dinghies, inflatables, IRB’s and stand up paddle boards. Our products include manual and/or electric loaders most are able to be used for single person operation, making it suitable no matter your height or fitness level or gender. The electric boat and kayak loaders and the folding trailers are all self-fitting and come with simple to read assembly instructions backed up by video assembly instructions and if you need more phone us and talk to the owners who will be happy to walk you through it. Installation is also an option for a small fee. All products come with a 3 year structural warranty. We love the thought that thousands of people are using their boats, kayaks and paddle boards because we’ve made it easy for them to do so. They ship to NSW, Victoria, Tasmania, Queensland, A.C.T, Western Australia, South Australia and Northern Territory.